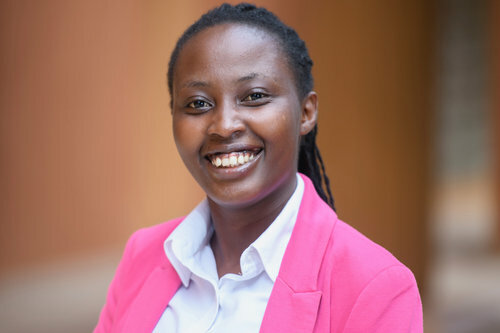 Four Ugandan social entrepreneurs Joseph Ogwal, Margaret Nalutaaya, Jennifer Achiro, and Sheila Ampumuza have been accepted into the 2019 Acumen Fellowship Program. They are among 21 entrepreneurs that will represent East Africa in the program that has attracted 104 entrepreneurs from Colombia, East Africa, India, Pakistan, and West Africa. Joseph Ogwal is the founder and CEO of Agro Supply, Jennifer Achiro is the founder of Child Mothers Initiative while Margaret Nalutaaya started SoarAway and Sheila Ampumuza is the country director of Sawa World Uganda. The 2019 Acumen Fellowship Program will run for a year. These entrepreneurs will during this period undergo leadership training, business seminars, mentorship programs. After completion of the program, they’ll then join the Acumen global community that comprises more than 500 fellows. Becoming an Acume fellow also comes with opportunities of featuring on TED Talks and interacting with prominent entrepreneurs from across the globe. Sheila Ampumuza is the country director of Sawa World Uganda, a nonprofit organization that provides large-scale access to low-cost, easy-to-start and locally created skill-based solutions that can allow unemployed youth living in poverty to learn and start small-scale businesses. With her guidance and leadership, her team of young professionals has transformed the lives of over 70,000 vulnerable youth since 2012. Together, they aim to impact one billion youth by 2030 with the use of homegrown innovations. Margaret Nalutaaya is the founder and executive director of SoarAway, an organization committed to addressing the leadership crisis by unleashing youth as character-strong, capable and engaged changemakers for sustainable community transformation. SoarAway provides innovative in-school and out-of-school solutions for both students and educators. She is a passionate learner, speaker, edu-preneur, Afro-optimist and organizational consultant who lives to create a world where youth find the opportunities and support to maximize their potential and offer their best service to their communities. Joseph Ogwal is the founder and CEO of Agro Supply, a company solving critical problems that rural smallholder farmers face such as access to markets and access to finance. Agro Supply has developed the first mobile layaway system in East Africa to help farmers build savings and buy seeds and fertilizer. Since 2017, Agro Supply has worked with more than 5,000 farmers in Uganda through their bankless savings program. Ogwal is an alumni of the Tony Elumelu Entrepreneurship Program, the Young African Leaders Initiative, and a 2018 Swedish Institute Management Programme Africa Fellow. Jennifer Achiro is the founder of Child Mothers Initiative, a Ugandan-based organization that economically empowers rural teenage mothers. Skilled in policy analysis and advocacy and budget monitoring, Jennifer is a member of the National Youth Budget Advocacy, a Fellow of the National Leadership Academy and a member of the Mandela Washington Fellowship for Young African Leaders. She has a master’s in Transformative and Civic Leadership from the University of Nebraska-Lincoln. Jennifer believes that when women are empowered, families and nations thrive.